So Many Stamps So Little Time: Who's Bleu? Fun With Sweet Stamp Shop Stamps! Who's Bleu? Fun With Sweet Stamp Shop Stamps! Hello friends! 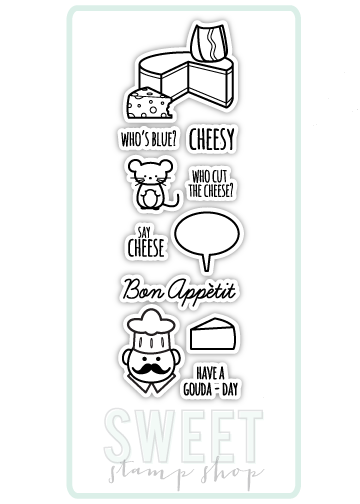 Today I am excited to share a super cute (if I do say so myself) card featuring "Cheese Please" from Sweet Stamp Shop. 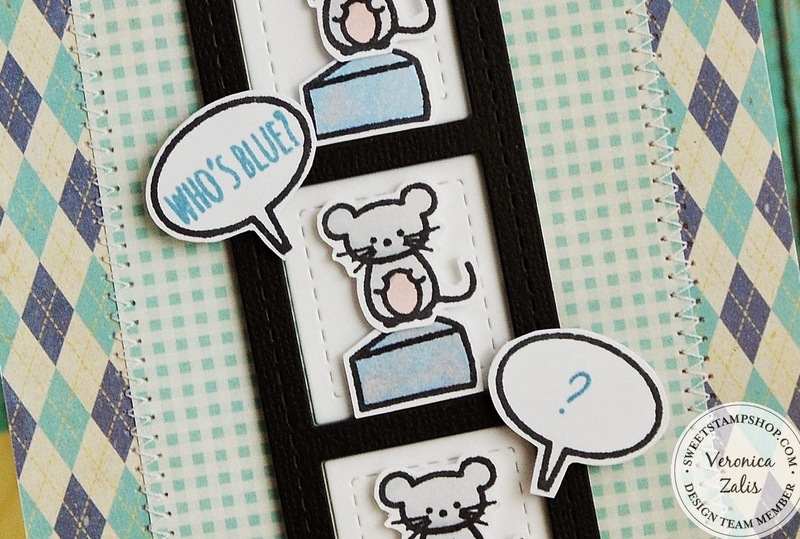 Check out this adorable stamp set! I love that little mouse! To create my card I picked out some of my favorite "bleu" patterned paper. Added a bit of machine stitching, stamped and colored the mouse and cheese wedge three time. I cut them out with detail scissors, and used the photo frame die from Pretty Pink Posh to create a fun focal point. Be sure to visit the Sweet Stamp Shop to pick up this cute set! Now how cute is this?!!! Love it! This is so cute. The stitching down the side is so perfect. Do you give lessons? lol. Great card. The Challenge # 17 - Boo To You! Sweet Stamp Shop October Release! The Challenge # 16 - Grateful For You!